Just about anyone who owns a car is guilty of speeding at least once–whether it is because you have an important appointment to get to, because you are in a bad mood, because you are running late, or even just because you like to drive fast when you are in your car. Whatever the reason, there are few drivers who are completely guilt-free when it comes to speeding. However, even though sometimes it feels like driving faster than the speed limit is your best option, the reality might actually be the opposite. Speeding could potentially cost you more money, hassle and, more likely than not, fail to get you to your destination any quicker than if you had kept to the speed limit. Still skeptical? Allow us to persuade you. Aside from the small matter of breaking the law, the main deterrent for most people when it comes to speeding is the threat of getting pulled over and receiving a speeding ticket. And if there were no other reasons against speeding, the prospect of getting a ticket should be enough. Why? Well there is the obvious fact that it will cost you money–and that is not just with the price of the ticket. You may end up paying for traffic school as well, if you want to remove the points from your license. And if you were trying to get somewhere quicker, there is nothing that will slow you down as much as getting pulled over. Add to that the traffic school, and you have a lot less free time than before. The fact is, speed limits are intended to keep us safe. As a result, every time that you decide to drive faster than the speed limit, you are increasing the chances that you will be involved in an accident. At the very least an accident will cost you time and money, at the most it can cause you actual physical harm. Speeding also costs you more money in gas. 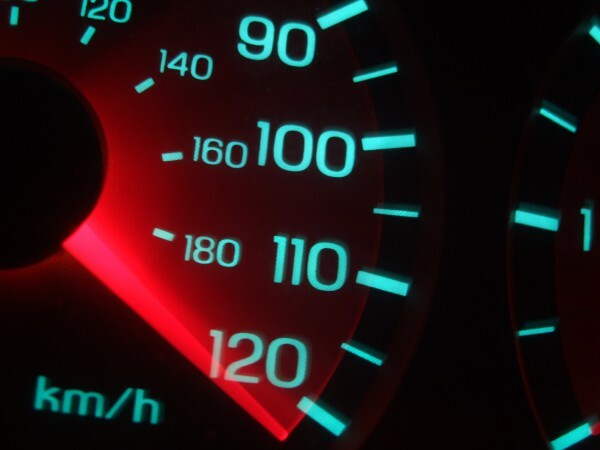 If you stick to the speed limit, you are far more likely to get good gas mileage, and without all of the extra acceleration, you will find that you spend much less on gas each month. So perhaps you already knew all of the above reasons for being a defensive driver. You might know about the risks, and the extra money that it will cost you, but sometimes you just have to speed anyway–you need to get somewhere, and you need to get there fast! This brings us to the biggest reason of all–speeding doesn’t actually save you any significant time! For proof of this, check out our interactive tool that allows you to put it to the test. It will show you the difference in time taken when you speed versus keeping to the speed limit, and give you further proof, such as the fact that many cities coordinate traffic lights so that you are more likely to hit green lights when you are keeping to the speed limit.